'When I hear someone telling me what air power can do,' former US Secretary of State Colin Powell was once heard to remark, 'I head for the bunker.' A highly decorated general in the US Army and a former chairman of the Joint Chiefs of Staff, Powell was showing his awareness of an unresolved argument that has raged since the earliest days of manned flight. The ability to rain down death upon your opponent from the relative safety of the open skies would appear to offer a tremendous military advantage, but can you actually win a war that way? More importantly, can the high cost of such a victory be justified morally, financially or strategically? While there may never be a satisfactory answer, it's impossible to deny the huge influence that aerial bombing campaigns have had upon the conduct and the aims of modern warfare. The most significant technological innovations that take place during the course of a war will usually have their biggest impact upon the outcome of the next. Air power innovation is no exception in this respect. In the First World War, a static war of trenches and fiercely defended map references, the ability to throw the largest possible projectile the furthest possible distance was vitally important. Massive field pieces capable of firing huge shells several kilometres soon came to dominate an increasingly gridlocked battlefield. The armoured tank became a decisive weapon, breaking the protracted deadlock of trench warfare, but it became clear that any future conflicts might well be resolved in the air. Using the air as an avenue of attack was a way of reaching even further into enemy terrain whilst maintaining a safe distance. And as German airship and biplane raids on London showed, air power's reach needn't be restricted to targets immediately behind enemy lines. You could strike at your opponent's 'vital centres', such as bridges, ports and factories, as well taking the war directly to the civilian population. Resigning from the US military, Mitchell dedicated the rest of his life to writing and lecturing on the revolutionary importance of aerial bombing. He passionately believed that aircraft should be used to attack the vital centres of an enemy country, refusing to see anything illegal or immoral in such a strategy. Given the millions that had been slaughtered needlessly in the trenches of the First World War, Mitchell argued that air power provided a quicker and more humane way of winning wars. Billy Mitchell died in February 1936, just a few weeks before planes of the new German Luftwaffe started their first reconnaissance flights over the tiny Basque town of Guernica, in civil war-torn Spain. The German aviation minister responsible for the aerial bombardment of Guernica on 26 April 1937, which resulted in unprecedented scenes of death and destruction among the town's unsuspecting populace, was a distinguished veteran combat pilot of the First World War, Hermann Goering. Unlike Billy Mitchell, however, Goering had the enthusiastic attention of his country's government. Ostensibly appointed by Reich Chancellor Hitler to develop a civilian air fleet, Goering used the Spanish Civil War as a test site for a new generation of fighter planes capable of swiftly attacking an enemy's vital centres. Guernica was merely a dry run for what was to come. By 1941, German squadrons fighting in the Second World War were flying nightly bombing missions over British cities. But could air power alone win the war? As civilians from London to Berlin and from Cologne to Coventry reorganized their lives around routine enemy air assaults, the question remained an open one: public fear alone was not a strong enough factor. One bombing mission did prove decisive, however. The Japanese air attack on the US fleet anchored at Pearl Harbour, predicted by Billy Mitchell almost 20 years previously, took place on 7 December 1941, bringing the US firmly into the Second World War on the Allies' side. After Pearl Harbour, a former adviser to Billy Mitchell, Major Alexander de Seversky, captured public imagination with his book Victory Through Air Power, which not only became a bestseller but also inspired the patriotic Walt Disney to release an animated feature-length version under the same title in 1943. 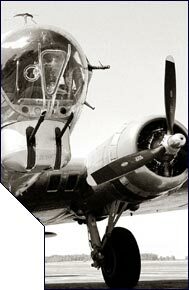 By then, American aircrews had already joined their British counterparts in day and night raids over Germany. As bombers grew bigger and more capable of flying further and at higher altitudes, their payloads became larger and more destructive. The firestorms that had consumed the cities of Hamburg, Dresden and Tokyo, killing thousands and rendering millions more homeless, were still not enough to bring the much sought Allied victory. It would take the meeting of British, Russian and American ground forces in the burning streets of Berlin to bring an end to the war in Europe. On the other side of the world, however, at 8.15 local time on the morning of 6 August 1945 in the Japanese industrial town of Hiroshima, another campaign would draw to a close, and a new era of conflict would begin: nuclear stalemate in the Cold War. In terms of the bombing strategies devised during the Second World War, the atomic bomb had done its job too well. The stark possibility of a future conflict in which whole cities might be obliterated did more than just demoralize the enemy, it demoralized everyone. The politics of 'Total War', in which the entire resources of one nation were pitched against those of another, had given way to the queasy balancing act of the Cold War, conducted between East and West under the shadow of what became known as MAD – Mutual Assured Destruction. One result of this shift was the increased deployment of the Boeing B-52 bomber from the 1950s onwards. With its eight jet engines and massive wingspan, the 'Stratofortress' was capable of flying further and higher than any other plane then in service. It had been conceived as a flexible 'platform', easily modifiable to take on changing weapon delivery systems and missions. The B-52 was consequently capable of carrying both nuclear weapons on low-altitude runs beneath Soviet radar as well as conventional high-explosive payloads on high-altitude strikes against ground forces in North Vietnam. Despite the declared intention of US Air Force commander Curtis Le May to bomb the Viet Cong 'back to the stone age', such tactics offered only a limited chance of victory whilst American ground forces continued to struggle with an unfamiliar and dense jungle terrain below the tree tops. Starting in May 1965 and originally intended to last only eight weeks, Operation Rolling Thunder would send wave upon wave of B-52s over enemy airspace for the next three years. The economic damage to North Vietnam was considerable: the cost to America greater still, but for them it wasn't just economic. Rapid advances in global telecommunications had meant that images of a technologically superior US trying to beat an underdeveloped agrarian opponent into submission were beamed into millions of households throughout the world as part of their daily news, unsettling viewers at home and abroad. When veteran TV anchorman Walter Cronkite reported from Vietnam that the war was no longer winnable, the withdrawal of American forces became only a matter of time. No wonder terms like 'saturation', 'blanket' and 'penetration' are commonly applied to military and media campaigns alike. During the closing months of the Vietnam conflict, the US Air Force was carrying out secret tests on a new generation of laser-guided bombs designed to hit their target with pinpoint accuracy. Capable of reducing what became euphemistically known as 'collateral damage' to civilian homes, these more advanced 'smart' bombs helped alter public perceptions of what air power could do. The introduction of the F-117 Stealth Fighter, capable of avoiding enemy detection, meant that the economics of aerial bombing had also changed. It made the defensive strategy of 'large force packaging', in which at least 48 planes were required to accompany four bombers over one target, a thing of the past. The air strike remained part of a larger package, however: one that still involved ground forces, international mediation and intense media coverage. Use of air power without ground forces by Nato in the 1998 Bosnia campaign signalled to Slobodan Milo?evic's Serbian army a lack of commitment from Nato. But a series of surgical strikes aimed at the business interests of Milo?evic's cronies brought about his capitulation – something which 'proved that a war can be won by air power alone', according to military historian John Keenan. The world has changed a lot since then. The events of 9/11 took the notion of an aerial attack upon a civilian target to previously unimaginable levels. Flight simulation software developed after Operation Desert Storm in 1991 meant that a handful of men could train themselves to guide not a bomb but an entire airliner with absolute precision at a chosen site. The world then saw the 'shock and awe' tactics of the US's retaliatory strikes against Afghanistan and Iraq, which saw B-52s still running missions over 50 years after they were first introduced, and seeming to belong to a different age.